Clifton Universalist Unitarian Church holds our services each Sunday morning from precisely 11:00ish to 12:00ish at 2231 Payne Street in Louisville, immediately followed by coffee, food and conversation in the Fellowship Hall. Our Services include a time for sharing Joys and Concerns, music, readings, meditative silence, children’s stories, and thought-provoking sermons. Click here for a copy of our Order of Service. JANUARY 20 has been CANCELLED due to unsafe driving conditions! We hope to reschedule this service for another date in the future! Jan 27: Hannah Wilson will be giving our sermon, titled "Respecting Other Beliefs." 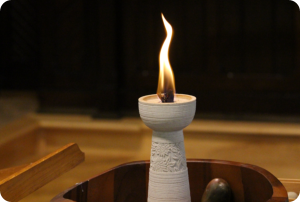 Feb 3: Jim Oxyer will be leading our pagan service on Imbolc. Feb 10: We will have a circle-service group discussion, facilitated by JoAnn Dale. Feb 17: We will have a circle-service group discussion, facilitated by JoAnn Dale, on Pop Music and Spirituality. Feb 24: We will have a circle-service group discussion, facilitated by Sally Craven. March 3: Mark Steiner will be giving our sermon. March 10: We will have a circle-service group discussion, facilitated by JoAnn Dale. March 17: We will have a circle-service group discussion, facilitated by Sally Craven. March 24: Jill Sampson will be giving our sermon. March 31: Greg Erskine will be giving our sermon, titled "Baucis And Philemon."